Marketing your holiday let to potential and existing guests doesn’t necessarily need to be a seasonal exercise. There are plenty of recurring annual events you could potentially weave into your marketing strategy to encourage guests to book your rental throughout the year. The 1st of January is New Year’s Day – preceded, of course, by New Year’s Eve on the 31st of December – when it’s traditional to celebrate at midnight! 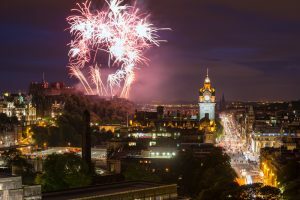 There are parties across the country, with Edinburgh’s ‘Hogmanay’ being one of the biggest. 1- Write a blog post about where/how to see in the New Year in the local area (local firework displays, the best eateries, the best pubs). Not only will this attract last-minute bookers looking for a New Year break, but it’s also useful for those already travelling to the area. After reading your useful tips they may book with you next year! 2- Offer a deal or free nights if a certain number of days are booked. For example, stay 7 nights for the price of 5. January is typically a quiet month for bookings, but some people won’t be going back to work straight after the New Year, so here’s your chance to leverage this. 3- Email past guests offering them ‘priority’ booking for your available dates this year, before they are released on general sale. January is typically peak summer holiday booking season, so some of your mailing list may already be thinking about how to spend their time off work this year. 4- Focus some of your social media posts in January on summer break promotions. Typically, the third Monday of the month is claimed to be the most depressing day of the year (‘Blue Monday’), and people are generally searching for something to look forward to! 5- Attract longer-term stays with discounts for 2+ weeks bookings, perhaps throwing in some extras (e.g. including free logs for the fire or a mid-week clean). This can be another classically quiet month for bookings. However, there’s potentially quite a bit to talk about when it comes to marketing your holiday rental. 6- Promote your holiday let as a great place for a romantic Valentine weekend getaway. Help your guests celebrate by creating the ultimate Valentines package. Organise a discount with a local spa or restaurant for your guests. Throw in a bottle of fizz, chocolates on arrival and include luxuries in your welcome hamper such as soothing bath salts, plus fluffy robes for afterwards. 7- Write a blog for release just before February half- term focusing on ‘what’s on’ or things to do in the area for couples and families. 8- Piggy-back onto ‘National Love Your Pet Day’ (February 20th) by offering a welcome gift for your guest’s dog(s). 9- Here are some more marketing tips to boost low season bookings. We’re hitting spring now, and things are really starting to ramp up in terms of special dates and bank holidays. 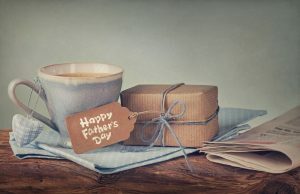 10- Offer a voucher to give as a gift on Mother’s Day. You could also throw in some free flowers or arrange a discount for a delicious afternoon tea. 11- Write a blog about where to join in with St Patrick’s Day celebrations – if your holiday let is in a relevant spot. 12- Write a blog about ‘what’s on’ or things to do over the Easter bank holiday period and the Easter school holiday break. 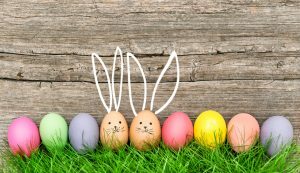 It could cover local Easter egg hunts, or you could even arrange your own in and around your property. 13- Write a blog post and email newsletter with some information for potential guests about local events, lambing days, spring nature walks – to tempt them into booking a stay. 14- Leave some pancake ingredients and recipe ideas in a welcome basket for your guests if their visit coincides with Pancake Day (Shrove Tuesday). 15- Leverage the bank holidays during May by promoting ‘long weekend’ offers on stays, or preferential rates to stay early/mid-week. 16- Offer a voucher which includes a gift from a local business e.g. local cheese/ale hamper which can be given on Father’s Day. You could perhaps link up with a local business to offer a discounted lunch/wine-tasting, day trip or flying lesion experience. These peak months should sell themselves and are likely get booked up quickly. 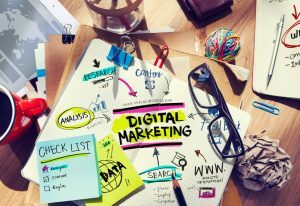 However, although you may be busy during the summer months, it’s not the time to let your marketing efforts slip. 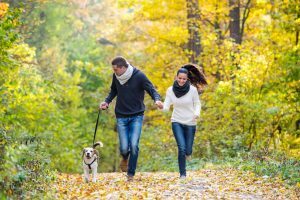 17- Start planning a marketing email promoting autumn (country walks followed by a pub lunch, cosy log fires etc.). Possibly a time when bookings will begin to tail off for the year. 18- Make a concerted effort to collect feedback from your summer guests. A higher turnover of stays comes with more opportunities to gather positive reviews. Think about also leaving a visitor book in the holiday home for people to leave comments in (this can also be a good way of gauging whether or not to prompt them for some public feedback to boost your reviews). 19- Make sure you’re keeping your blogging activity going throughout what may otherwise be a very busy period for you. Tourists (future guests?) will be looking for ideas on what to do, the best restaurants etc. 20- Make some time to take some interior and exterior scene photos, whilst the weather is sunny and dry. You could even collect some photos of local landmarks, sights and areas of natural beauty. These are images which you can use in future marketing, including social media posts. You might find that, as the British summer draws to a close, you have some extra time on your hands. Whilst time should be spent maintaining the effort you’re already putting into marketing your holiday let, it might also be a good time to do some digital housekeeping! 21- Take some time to look at what some of your competitors are up to. Sometimes, examining marketing you admire can give you some extra ideas and inspiration. 22- Check how you are listed on search engines like Google? It might also be worth spending some time updating or setting up your Google My Business listing too. 23- Offer a special deal to people who aren’t tied to the school holidays. You could even badge it with a ‘relax – the kids have gone back to school’ related theme promoting the fact that the ques and summer chaos have long gone. 24- Run a Halloween themed promotion. You could even update the homepage of your website with some ‘spooky’ graphics or pictures, along with your latest offer. 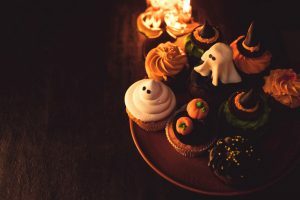 25- Adorn your holiday let with Halloween props and decorations and provide details of any Halloween themed events. This is an especially nice touch for those who will be staying with their children. 26- Spend some time cleaning up your customer/guest database. Check all the details/preferences are correct and delete obsolete data so your future personalised mailings are a success! 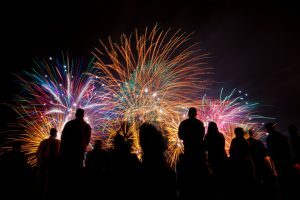 27- Write a post about where to enjoy Bonfire Night, with information about organised firework displays and related local events. 28- Entice your guests to book a stay over Christmas or New Year, with a special offer, or an ‘extra night’ bonus deal. Your blog should focus on Christmas markets and events which guests can enjoy whilst staying with you during December. Depending on your location and your offering, December may be just as busy for you as the spring/summer months. It’s time to start thinking about the year ahead, and the year just gone. 29- Beautify your holiday let with festive decorations for your guests. 30- Create a mailer to send to all of your guests who’ve stayed throughout the year, thanking them for their stay – but also inviting them to book again for an exclusive discount. 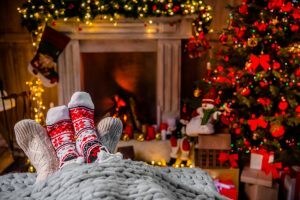 31- Spend some time researching next year’s local, specialist or large events that may attract people looking for accommodation in your area e.g. marathon, music festival, food festival, country show, air show. How can you attract these guests? 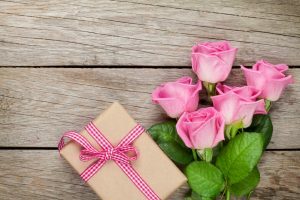 A key thing to bear in mind is to always allow the right amount of time to push your next piece of marketing – so, for example, a marketing campaign based around Valentine’s Day promotion ideally needs to be set up to run during January. Also, remember to take lots of photos of your efforts so you can highlight the wonderful experience your guests had in next years campaign. We hope these ideas provide enough inspiration to get you started! Do you have some ideas of your own after reading our blog? Feel free to share them with us below.